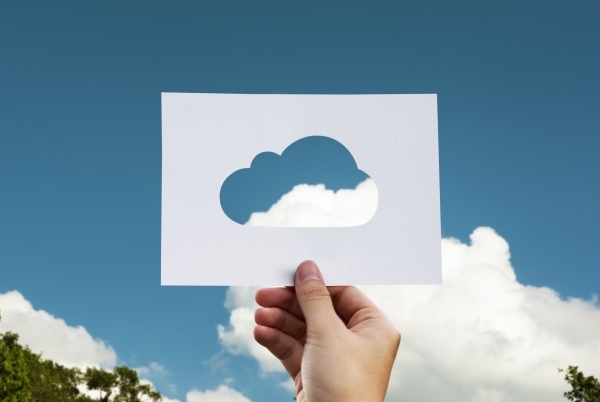 How Safe is Cloud-Based Digital Asset Management? If you’re not sure if a local or cloud-based digital asset management (DAM) system would be better for your business, one factor you might be considering is security. Cloud-based DAM systems come with a house of benefits, but are they safe to use? And are on-site systems more secure, compared to the cloud-based alternatives? Both on-site and cloud-based DAM systems allow companies and organisations to centralise all of their digital files, rather than having them scattered across multiple platforms. Users can easily search for and retrieve files, having catalogued them dependent on relevant information, and you can authorise and limit access as you see fit. Cloud-based DAM systems include all of the above features, with the added advantage that your files will be stored within a hosted environment. The question is – are they secure? There are many misconceptions when in comes to cloud-based systems, particularly around security. A lot of companies insist that having a storage system on-site is safer than cloud alternative. However, just because you can see and touch the on-site system, it doesn’t automatically guarantee more security. On-site DAM solutions depend on your IT department for security management. And security threats can often come from within a company itself, as opposed to online interference. Disgruntled employees, insecure passwords and lack of online safety training can all increase the risk of lost assets through security breaches. With today’s technology, cloud solutions are significantly more secure than on-site DAM systems. Many cloud solution providers offer the best security measures, with industry-leading standards and protocols. As they are holding a multitude of valuable information for thousands of users, good cloud vendors ensure that the assets are all safeguarded and protected. All cloud service providers are different, but if you opt for a reputable, experienced company with a good list of top clients, their security has more than likely been tested and re-tested over and over again. With a cloud-based DAM system, the responsibility of security falls to the vendor and not you. Security and online protection is often included in the monthly subscription fee, with no surprise extra costs to keep your assets safe. So, you can shop around, looking for the best safety features. Security isn’t an afterthought for cloud-based DAM providers. Every supplier worth its salt will understand that security is a major concern and should have prepared for every possible scenario diligently. At iBase, for example, we use Amazon’s award-winning AWS environment, using clustered virtual servers, guaranteeing top speeds and comprehensive security capabilities. We constantly check our cloud environment with penetration checks to ensure no-one can gain unauthorised access and to ensure our software meets the latest relevant PCI guidelines. Cloud systems also naturally evolve over time, with new features being automatically introduced meaning there is no need for manual installation. If there are any bugs or breaches, they will be quickly caught and managed, as there is no need for manual interference to protect your assets. This allows you to constantly have access to the most up-to-date systems and security, without having to purchase extra safety functions every few months to guarantee secure assets. Rid yourself of the frustration of losing key documents and wasting time recreating them from scratch. A DAM system can not only make your life easier, it can make your business more productive and ultimately improve your bottom line. iBase offer secure cloud-based DAM systems, complete with the latest, feature-rich technology. Want to know more? Get in touch with our team of experts today and find out how we can help boost your business’s productivity. You will benefit from constant updates, ensuring you’re always protected by the latest software versions. For more information, take a closer look at the features our digital asset management system offers or get in touch to talk to a member of our team. Contact us today to find out more, give us a call on +44 1943 603636 or submit a query via our Contact Us form. What are the different types of DAM?